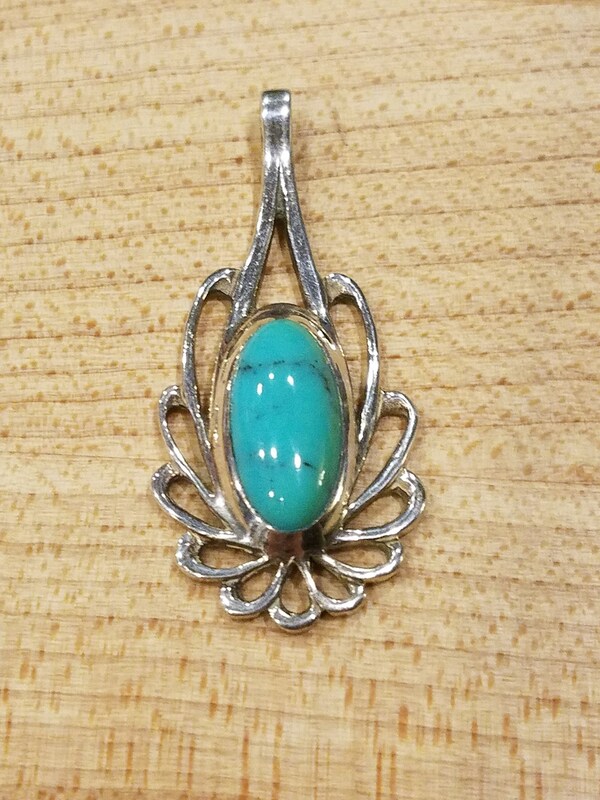 Beautiful oblong turquoise stone set in sterling silver with flower like pattern, pendant. 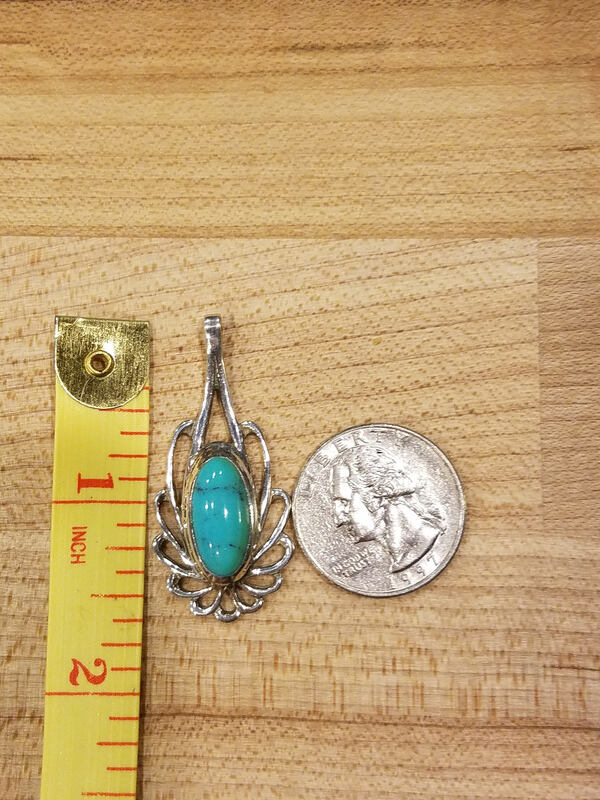 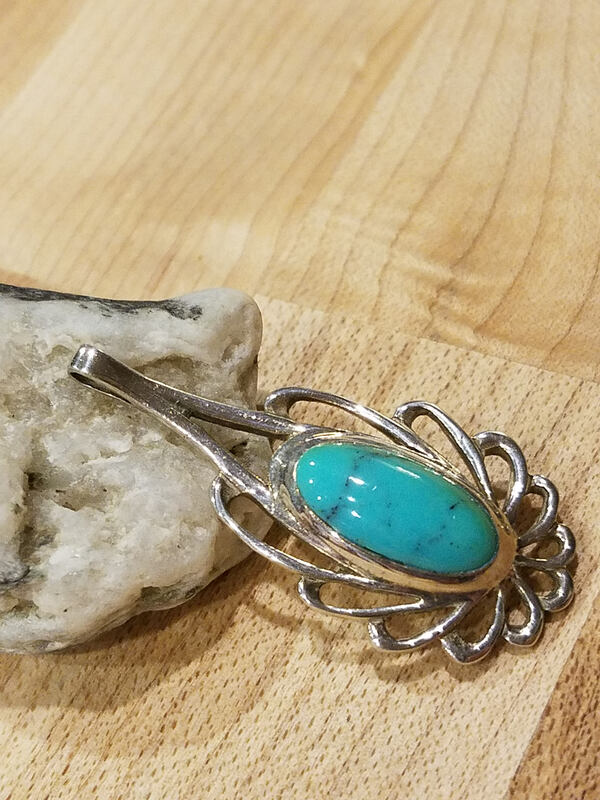 This turquoise is sterling silver pendant is just over one and a half inches long. 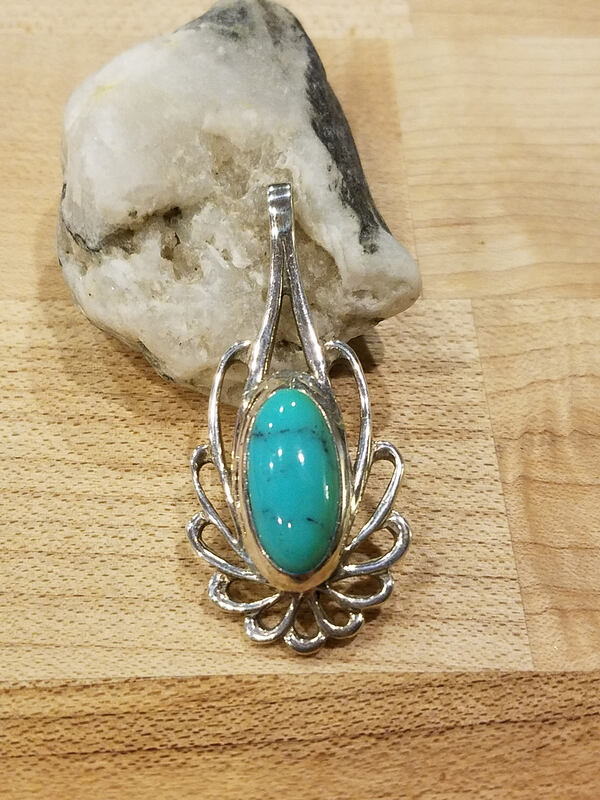 Almost lotus looking flower pattern around the stone. 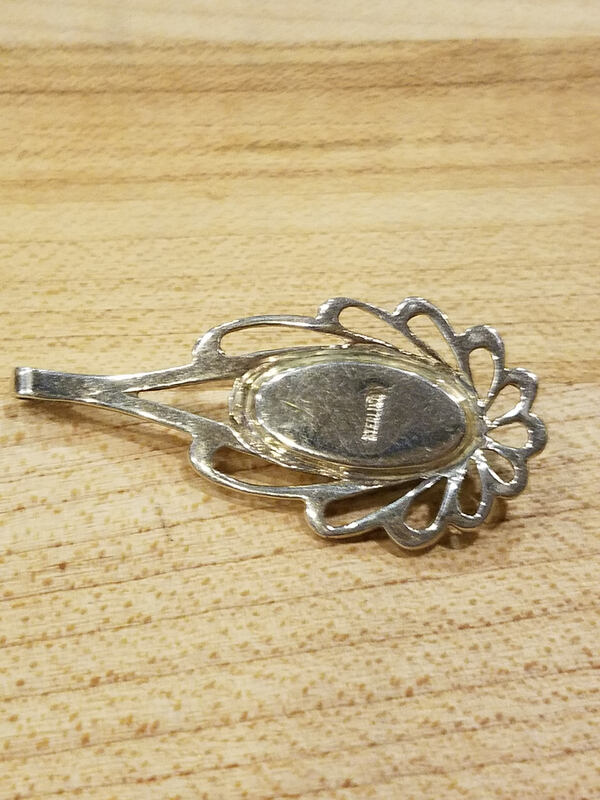 Does not come with chain.